The safety of passengers at Starcraft Bus is primary concern. Keeping the passengers in our buses safe is something we take very seriously which is why buses such as the Starcraft Allstar undergo rigorous testing. Customers who purchase the Starcraft Allstar can rest easy knowing that Starcraft uses all the resources at their disposal to make the bus as safe as possible. All buses, including the Starcraft, undergo a 3,000 lbs. seat pull test along with a 7 year/200,000 mile Altoona™ testing procedure. The fully welded steel cage on the Allstar offers the best passenger protection in the bus industry. 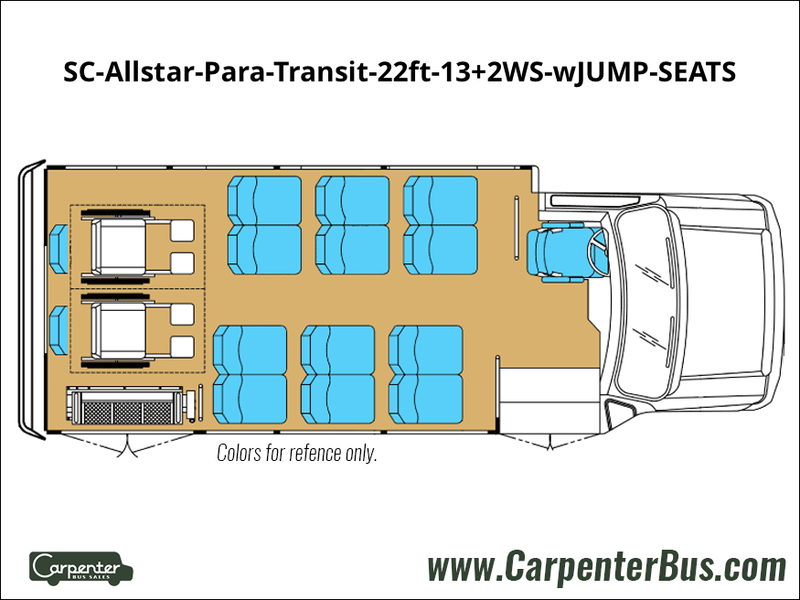 Besides the safety features of the Allstar, another appealing sales factor is the comfort level. 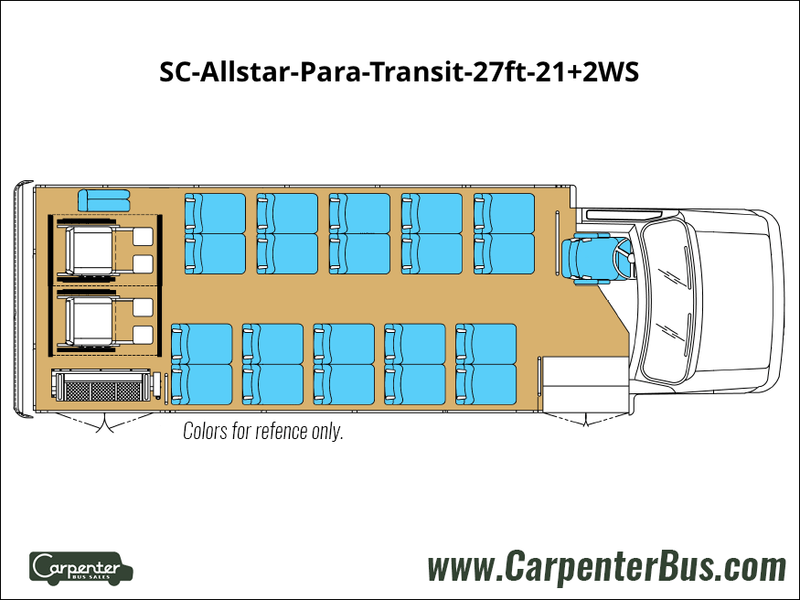 The side wall construction featured on the Allstar allows for maximum shoulder space for passengers as well as creating the widest aisle in the bus industry. This creates more comfortable seating arrangements. The Allstar has been the flagship product in the Starcraft stable of buses. 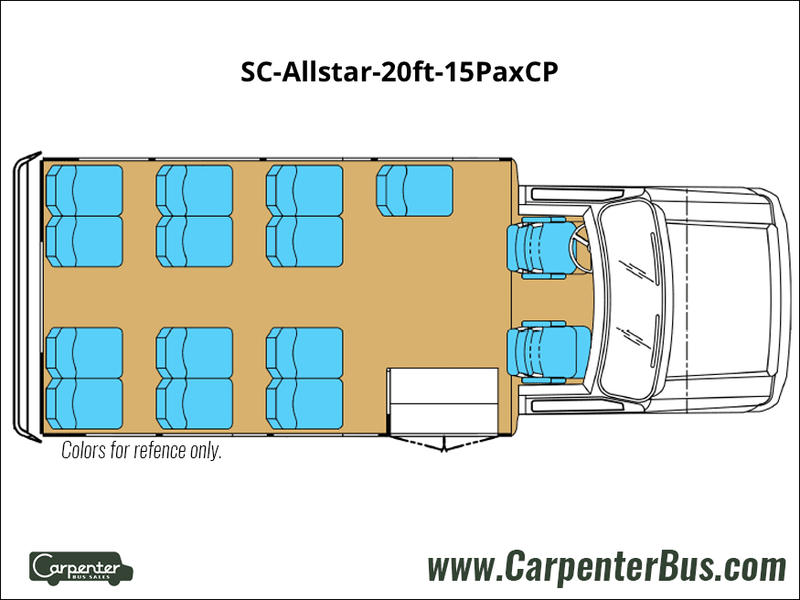 The Allstar is built to be used by small or large groups with the ability to carry anywhere between 10 and 26 passengers including the driver. 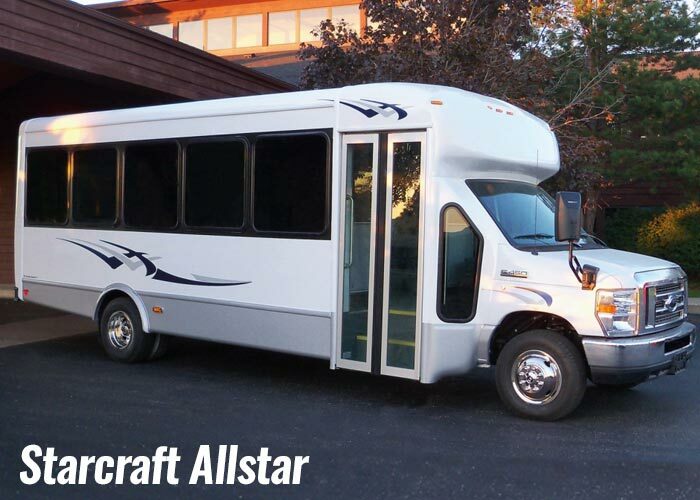 If your organization is in need of a bus, you can’t go wrong with the Starcraft Allstar.